Leith Fort is located in Leith, to the north of Edinburgh City Centre and is in close proximity to the Waterfront and Leith development areas. 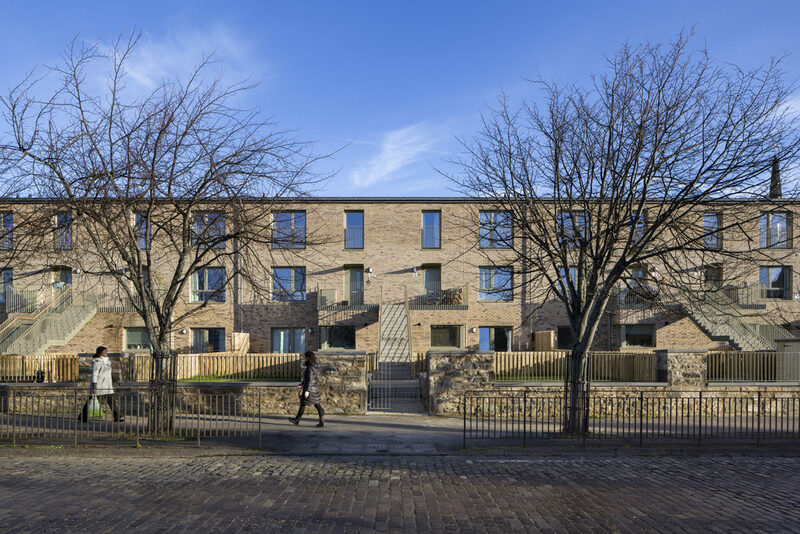 The site is approximately 1.7 hectares and sits within the historic confines of what was once Leith Fort. The project is surrounded by an an existing category B-listed stone wall, the remains of the former Leith Fort. 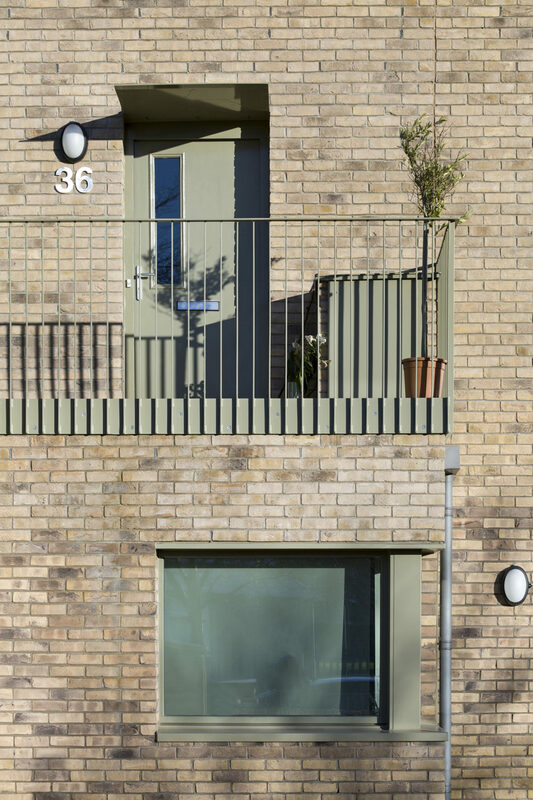 The housing consists of 94 new-build residential units and a communal green space. Planning consent was originally obtained by Malcolm Fraser Architects who ceased trading in August 2015. 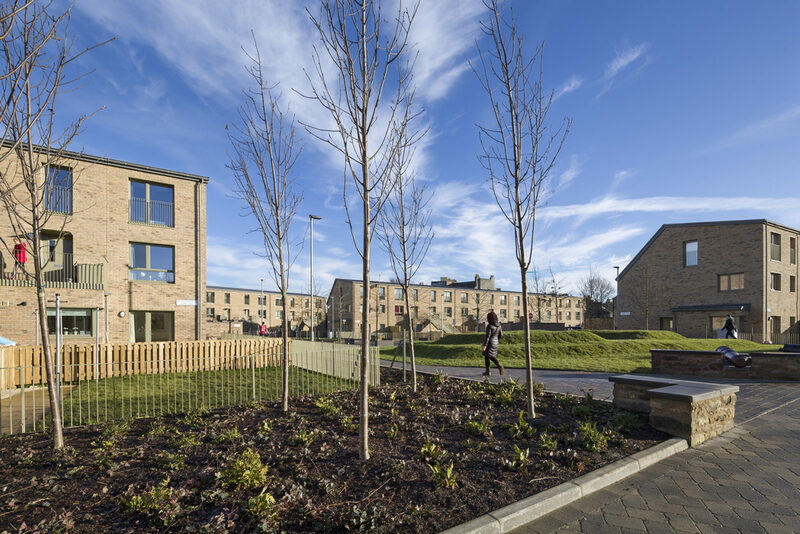 The new community green sits at the heart of the development, a positive focal point for the housing, optimising the principal community connections of the site to each adjacent street. 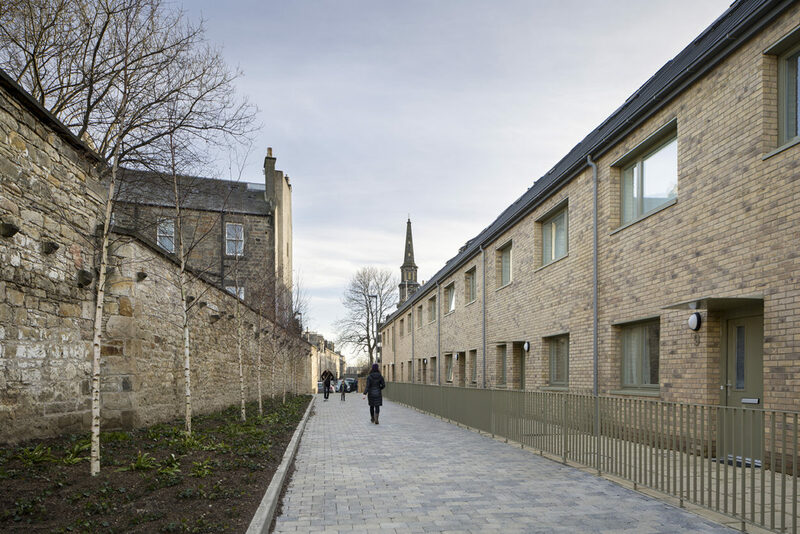 The new green acknowledges an existing amenity space at the adjacent Hamilton Wynd housing, and a pedestrian route is created between the two to connect them, thereby opening up the site and helping to stitch it into the surrounding neighbourhood. 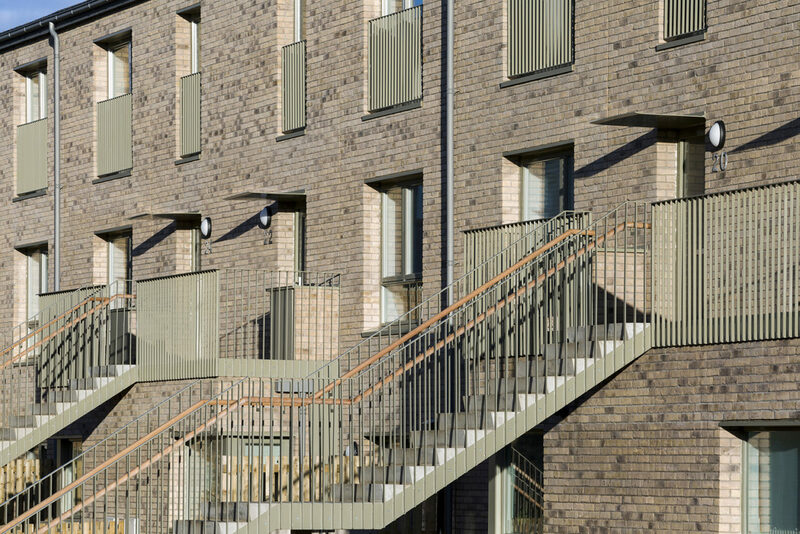 It also provides a safe and convenient route through the site, helping to connect the surrounding streets and wider context. The orientation, location, and massing of the new housing is considered in relation to the community green.